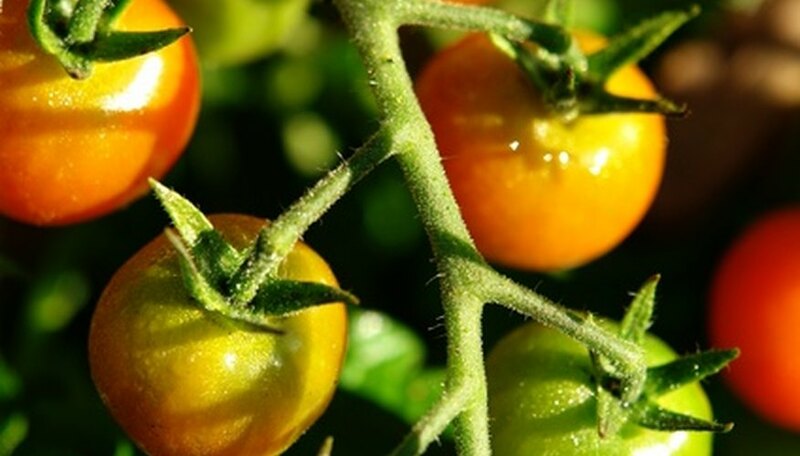 As tender annuals, tomato plants cannot tolerate frost. A frostbitten plant will quickly wilt and die. Tomatoes are usually planted out to the garden after all danger of frost has passed, but sometimes an unexpected frost may damage plants overnight. In fall, early frosts can ruin the last harvest if you don't act quickly. You may be completely unaware a frost occurred, as frost can be a localized occurrence that doesn't make it onto weather reports. Checking your plants for frostbite when you suspect a frost occurred gives you a chance to save any fruit before the plant dies. Inspect the stem of the plant below the first set of leaves. Look for darkening and feel the stems to see if they are firm or soft. If the stems are soft and discolored the plant is frostbitten and must be disposed of. Inspect the plants leaves and the upper portion of the stem for wilting, discoloration, or softness if the lower stem is healthy. These indicate that portions of the plant are frostbitten but that the plant may survive. Remove any damaged leaves and snip off any stems that are soft to prevent rot from affecting the rest of the tomato. Harvest all nearly ripe tomatoes or those that are green but full size from any plants suspected of frostbite. Use these tomatoes within the next one to two days, first cutting off any spots that turned soft during the freeze. Protect plants at night if frost damage occurred but didn't kill the plants. Cover the plants with a blanket or place a cloche over the plants until the weather warms up again in spring or until you have harvested the last of the fruit in fall. Wait until the soil has warmed up to 60 degrees F before transplanting outside. Plants are more likely to survive a light frost if the soil is warm. If you cover plants to protect them from frost, remove the covers during the day or the plants may overheat. Covering only protects plants from light frosts, not hard frosts which freeze the soil.